There are numerous means of producing black values when designing for print. However, it is important for designers at any design company or design agency to be cognizant of which method best suits their design for printing black. 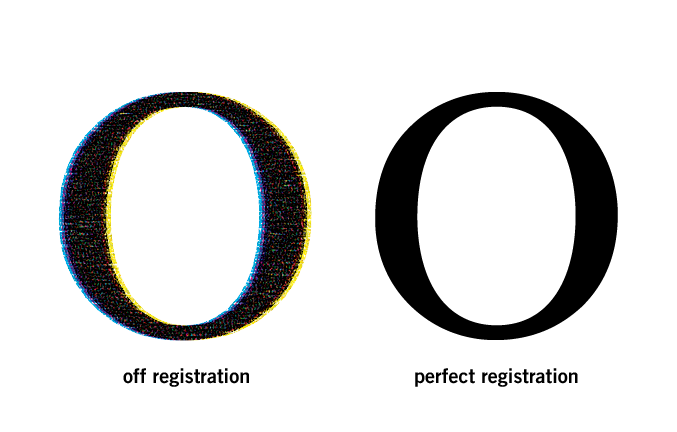 Process black (otherwise known as Flat Black or Standard Black) is simply the maximum amount of Black (K) with the Cyan, Magenta and Yellow values set to zero. This black is typically used for small text in magazines, books and newsprint. 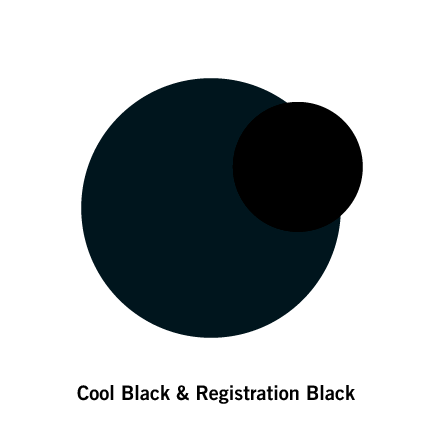 Rich Black is the mixture of process black with one of more CMYK values, producing a richer tone than black ink alone. This combination varies among designer preference but usually does not exceed a TIC limit of 200%. Total Ink Coverage (TIC) or Total Area Coverage (TAC) refers to the amount of ink or toner that can be printed on page. This is calculated by the percentage of CMYK values layered atop one another. For example, setting a rich black at 40% cyan, 30% magenta, 10% yellow and 100% black generates a TIC of 180%. Typically, designers do not exceed a TIC limit of 280% as anything beyond this value may lead to muddy colors and problems with the ink drying. This combination, also known as Bump Black, uses greater values of cyan to generate a cooler tone of black. Cool black is usually used to convey a very cold-feeling and is appropriate to use to compliment a design with a serious subject matter, i.e. technology advertisements, health pamphlets, etc. 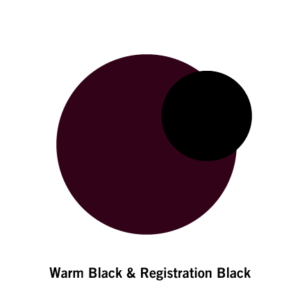 This combination is typically comprised of greater values of magenta to produce a warmer tone of black. It is typically applied to designs that aim to express a sense of elegance, i.e. Jewelry stores, boutiques, etc. This combination is comprised of greater values of yellow to produce a warm and earthy tone of black. This is usually used in designs pertaining to the natural world, i.e. nature magazines, renewable energy campaigns, etc. Designers have access to this black in coated (C), uncoated (U), and matte (M). This spot color is usually used for business cards, letterheads and for other professional purposes as an alternative to printing in full CMYK to mitigate the cost of printing. As the most common rich mixture used by designers, this black is composed of values that equal a TIC of 250 and serves almost any application.